As Christmas nears and you start thinking about buying Christmas presents spare a thought for the poor. 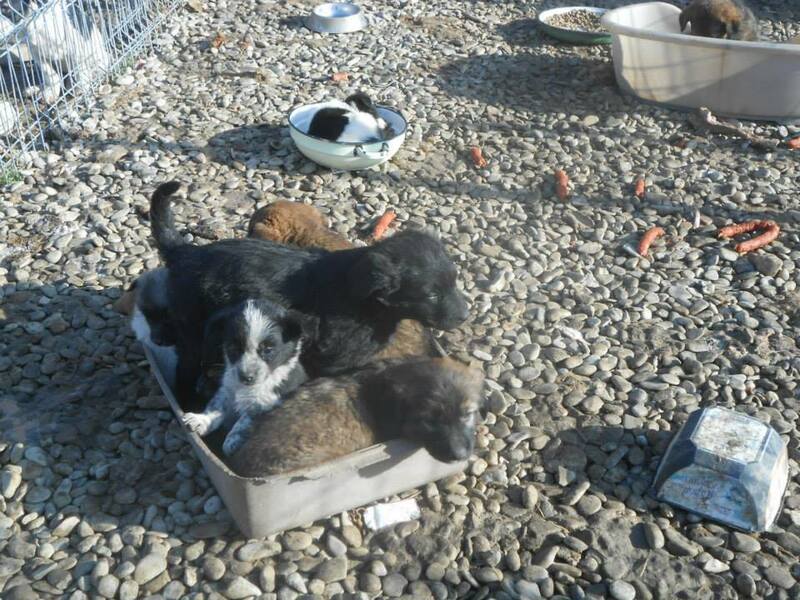 cold and hungry strays dogs in Romania. 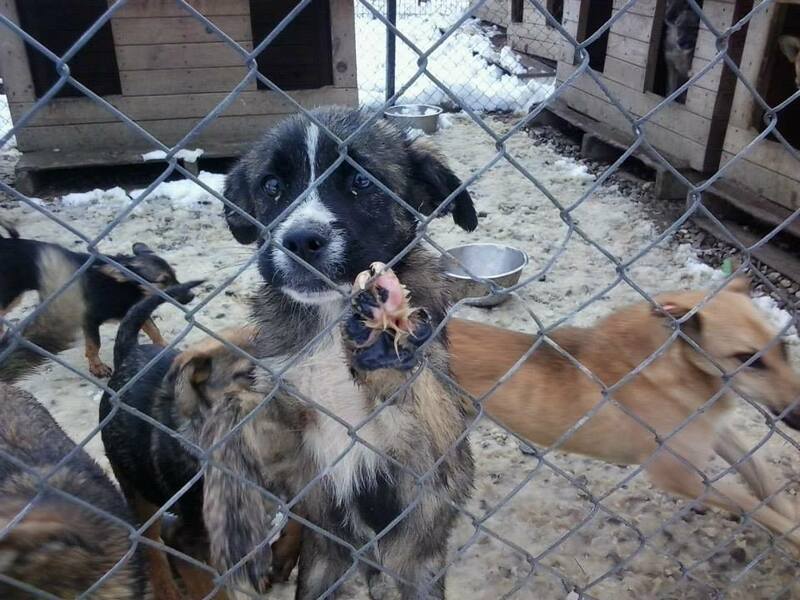 Winters are very harsh and many of the dogs will not survive the cold. For us as a charity winter is the hardest time of all – there is so much misery and pain in the shelters and on the streets, and with each shelter visit we see more dogs that have succumbed to the cold. Unfortunately they do not have the food, treatment or shelter required so only the strong survive. 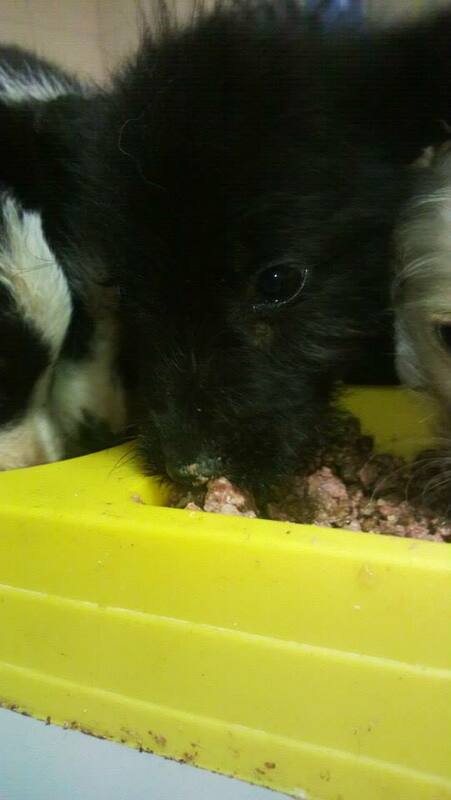 Puppies born at this time of year have virtually no chance of survival. This is why each year we have a winter fundraiser. This is why we ask that you consider giving a gift of love this year. We have a number of “items” for sale to raise money for the dogs and these are gifts that brings joy in three different ways – to you the purchaser by reducing your need to hit the shops and knowing your gift will be saving a life; to the recipient who knows they have been given something more valuable than a normal shop bought item and feels they contributed to something good; but most of all to the dogs whose lives this gift will save. 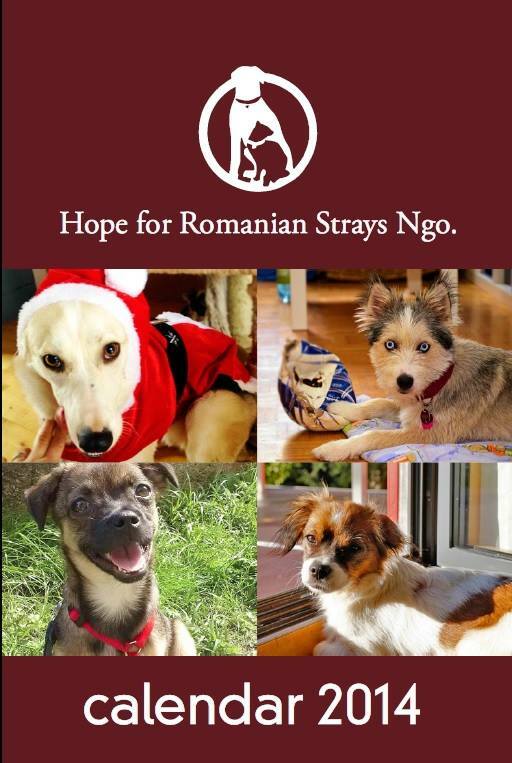 The 2014 Hope for Romanian Strays Calendar, featuring a selection of this years happy tails. Please contact us directly at hopeforstrays@yahoo.com to purchase this and to send us your postal details. 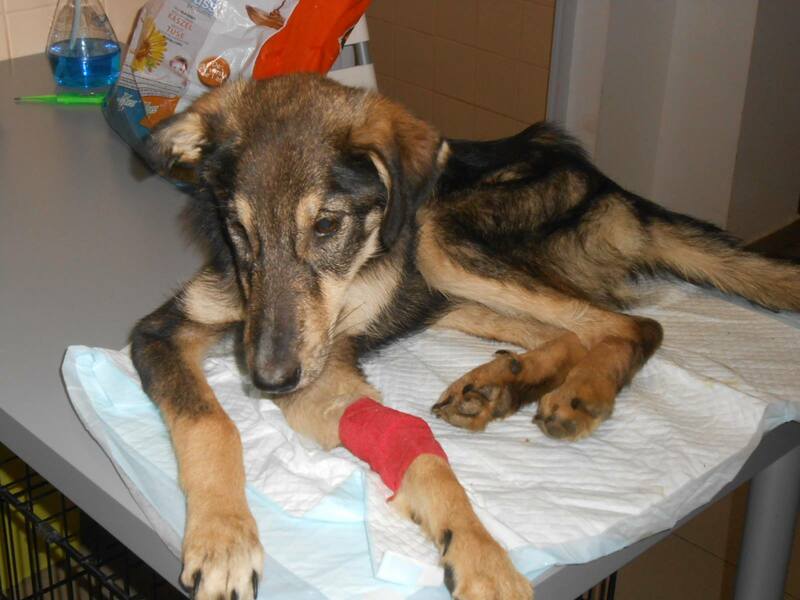 Help a puppy survive in the shelter by paying for a vaccination. The shelter does not vaccinate puppies (one reason 90% die) but we pay for vaccinations when we have the funds to. You can of course pay for as many puppy vaccination as you want – there are more than enough puppies waiting to be vaccinated! For €20 you can pay for the sterilisation of a dog. This helps reduce the number of puppies born, thereby reducing the problem, and also increasing the chances of a dog being adopted. 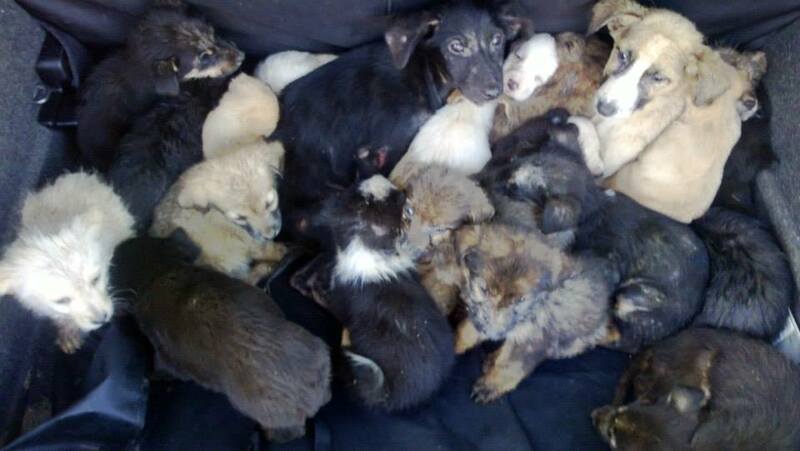 With hundreds of dogs in the shelter that are not sterlised this is a big issue but we are working with the shelter to neuter the dogs but we need funding for this. 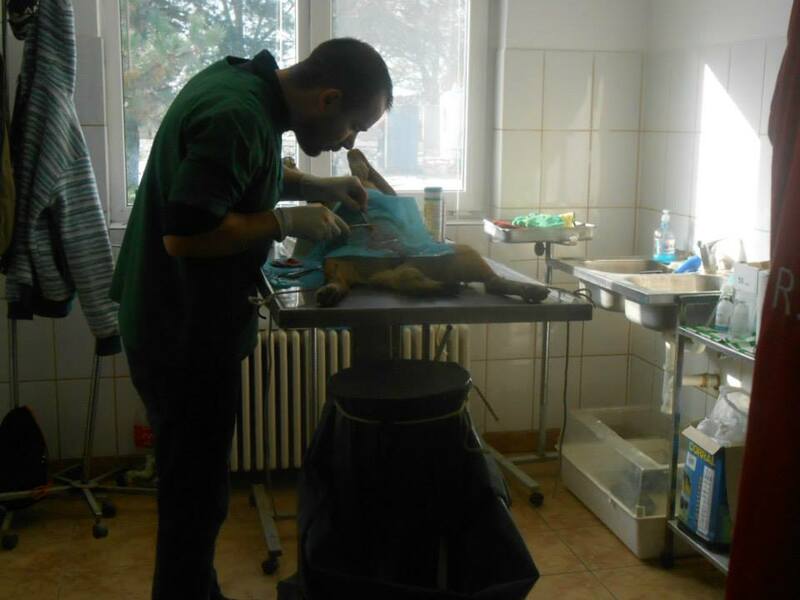 We regularly rescue dogs from the streets and from the shelter that have been injured. 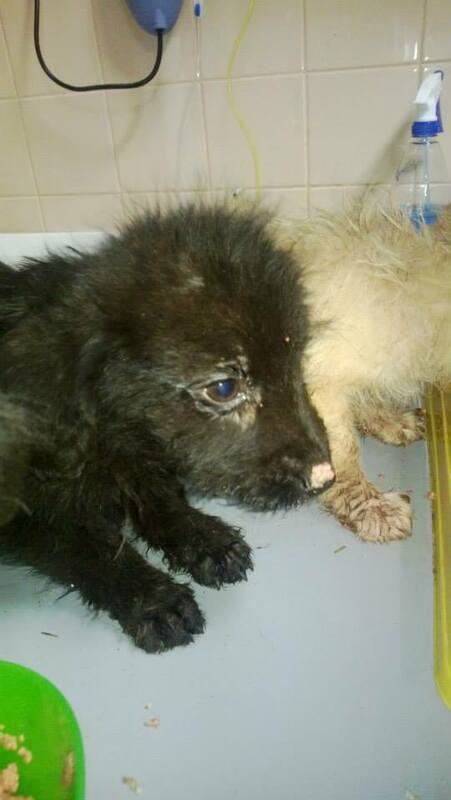 Without our intervention they would get not veterinary care and would die or live in agony. We have mounting debts with the local vet and by helping us pay off our current debts you can help pave the way for other emergency medical cases. The cases we take in range from broken legs through car accidents (often deliberate) , injuries sustained in the shelter and sickness such as distemper. 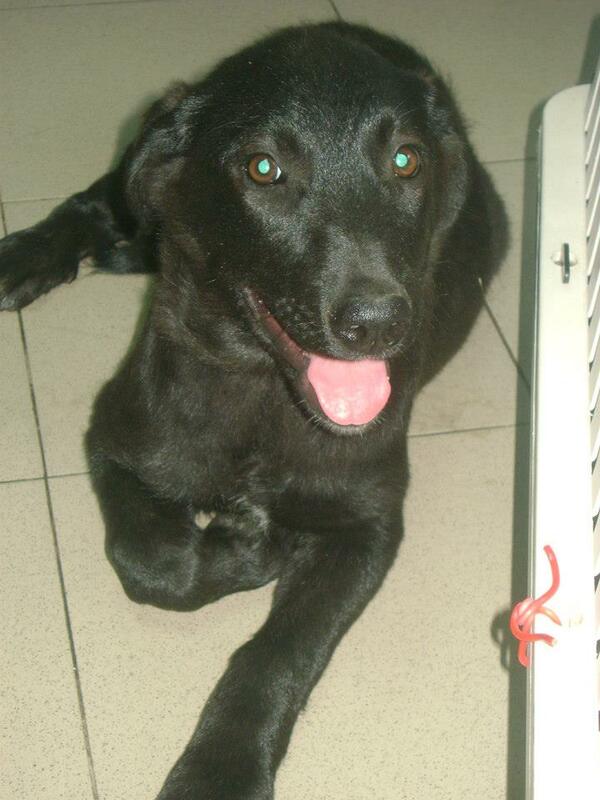 We have a number of puppies in foster care as well as in the puppy enclosure at the shelter. If you would like to buy them an extra meal for Christmas they would be very happy! It would also help build up their strength and chances for survival. We are one of the few charities with access to the shelter. 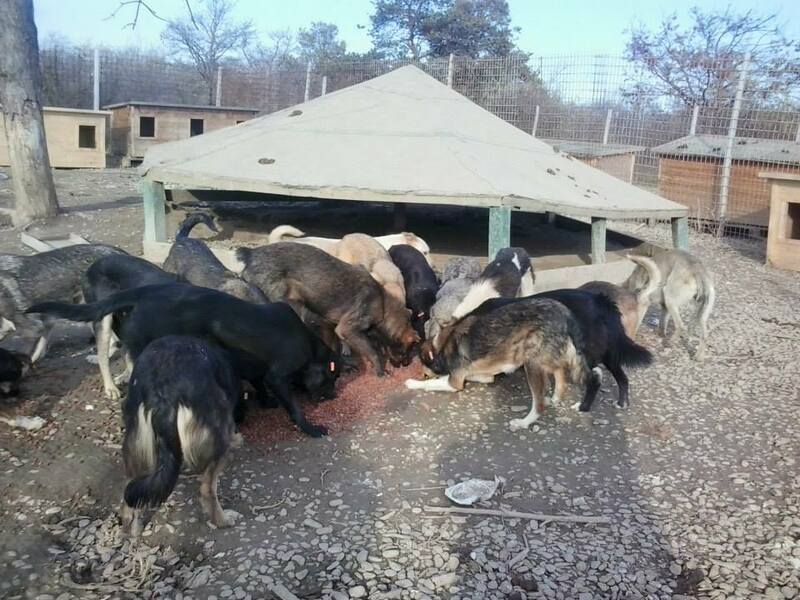 The conditions there are terrible but we work with the shelter, when they allow us, and part of what we try to do is improve conditions for the dogs. Last year we funded a whole load of new huts and this year we paid to replace broken fencing that was potentially dangerous and could injure the dogs. 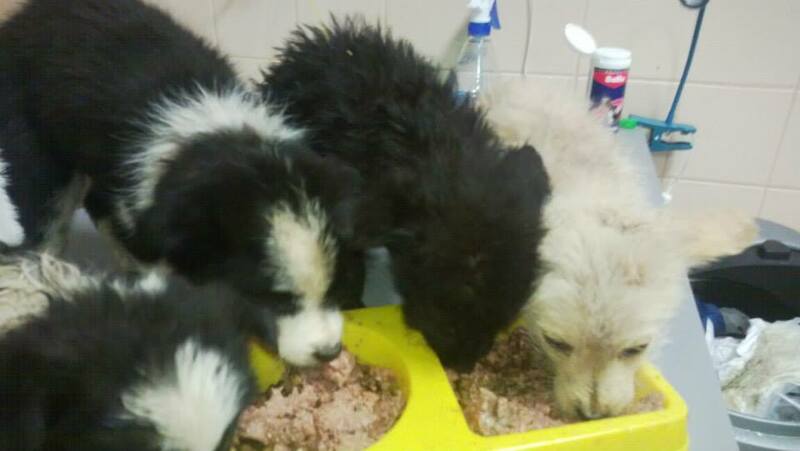 We also bring additional food to the dogs as they do not get enough through the shelter. We are starting a separate fund to start putting money aside for some bigger projects. Currently all our donations go straight to pay off our debts and pay for emergency cases. We have however some long term vision and dream of being able to provide some better shelter and foster options for injured and vulnerable dogs. To do this we will need substantial funds and so we are starting to save towards this goal. If you would like to donate to this then please contact us directly and we will send you the bank details for this. To purchase any of these “items” please donate via paypal to hopeforstrays@yahoo.com and state which item you are purchasing. For an additional €3 we will provide a personalised card sent either to you or directly to the recipient (please include in your donation). To do this please email us at hopeforstrays@yahoo.com after you have purchased an item with details of the item, any test you would like written in the card, name and address. Thank you for any donations and contributions made. 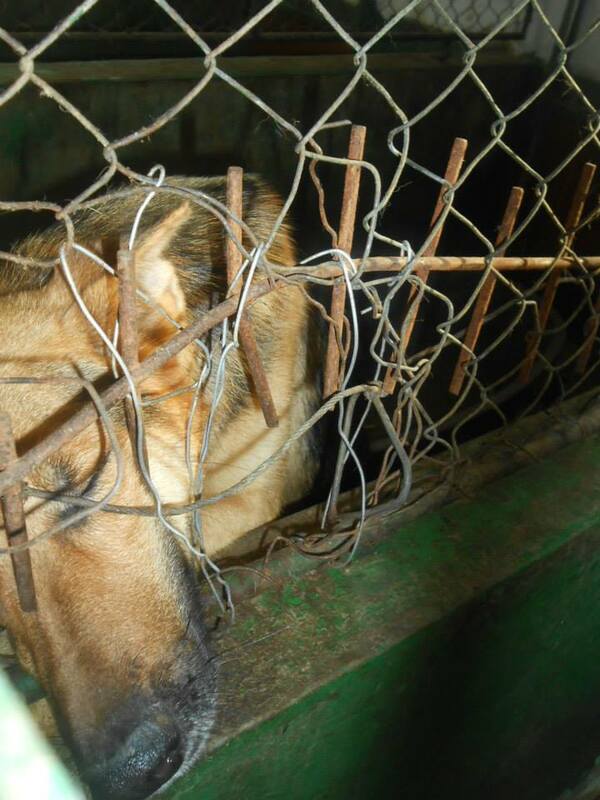 We such a great need and these dogs deserve better than the cruelty they get in Romania. They deserve some hope for Christmas too.